I’m having one of those so-much-to-say-I-have-nothing-to-say moments. Maybe it’s because it’s getting cooler? The sky a little darker? Or perhaps because I have a moment to breathe. I was going to talk about how busy I’ve been. We’ve been. How I haven’t taken two seconds to pause. None of us have. How grateful I am for the work I’ve been getting. I’m talking grateful beyond words. How I secretly hope that it doesn’t stop. My kids are happy. And nice. And seem generally good with life. It’s chilly. I make banana bread. Election coverage. It’s unsettling. And almost over. Also unsettling. Thoughts of gingerbread and Christmas lights flicker through my mind. Stella listens to Halsey. Gavin sneaks Minecraft. We eat crispy shredded beef tacos. More school. More work. More sports. More banana bread. We love it. But the chocolate sinks. We eat more. We rush to school…rush to sports. Sleep a bit…rush a bit…sleep a bit. I get a new project. I make more banana bread. It tastes delicious. The middle sinks. Just a hair. But just enough. We agree it’s the best we’ve had. Tired. We sleep early. Insomnia. 1am…2am…3am…making cookies and breakfast buns and banana bread. Coordinating oven time so everything’s done by the start of school. By noon, a nap. Halloween is perfect. Not in a fairy tale way. Messy perfect. We wear jackets and scarves and fingerless mittens. The kids have homework. On Halloween. Don’t get me started. Dark clouds line the mountains pretending to threaten rain. Wine in a coffee thermos. Sweet fairies in tutus. Darting from door-to-door, chatting with familiar faces. Laughing. Happy screams in the distance. Candy swapping until late. Monday Halloween vs. Saturday Halloween. Talk of turkey bingo. We fall asleep late. Wake up tired. Homework not done. Candy wrappers strewn across the floor. Costumes still worn. We stay home. All of us. With blankets and pillows and forts in the living room. We make banana bread. Pajamas on. Hair uncombed. Barefoot. We decide it’s the best we’ve ever had. I have a ton of holiday recipes ready to go, but I wanted to squeeze this banana bread in here before we head down that path. It is SO GOOD, that I didn’t want to wait to share. 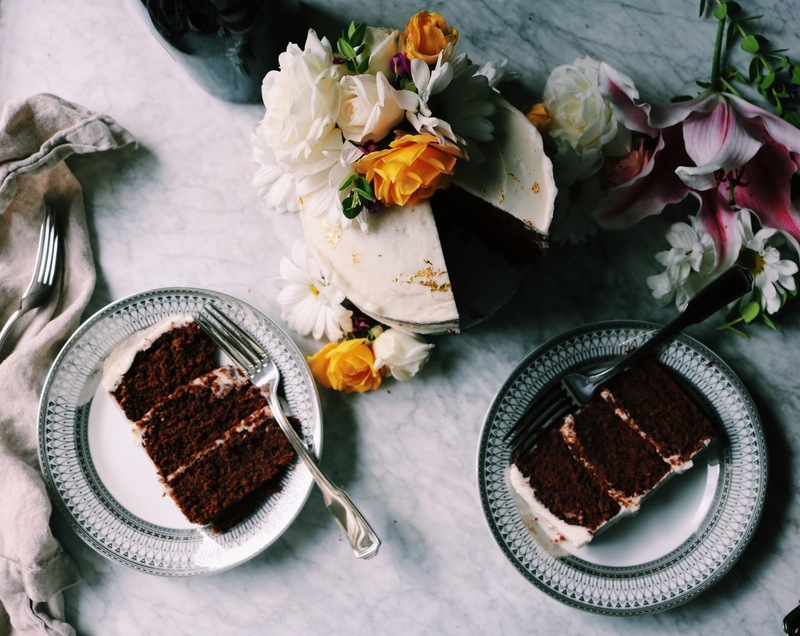 I am LOVING how many of you made the Apple Spice Cake…seriously, all the feels. 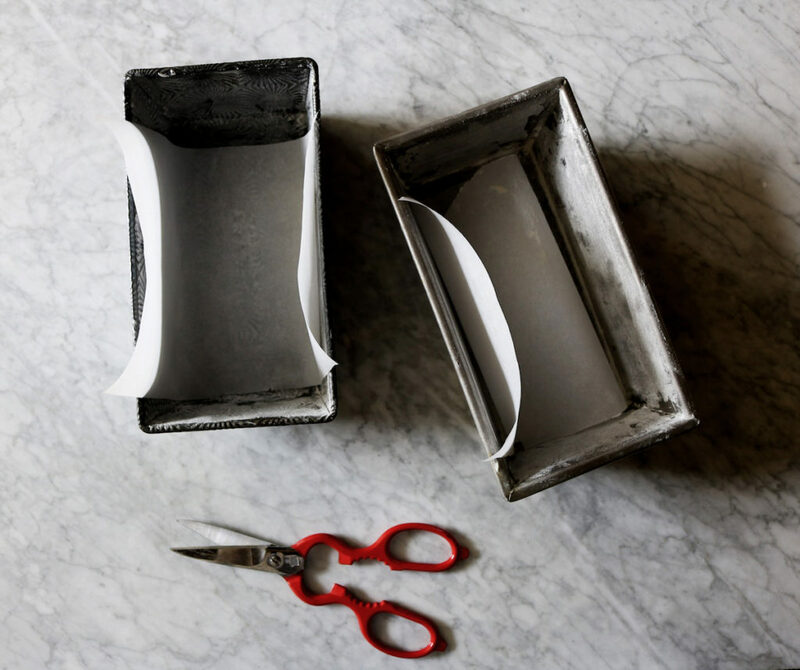 Here is one beautiful photo + blog post of it. PS Stella said I need a t-shirt that says: All the Feels. A new campaign just started with the feedfeed + Bob’s Red Mill. 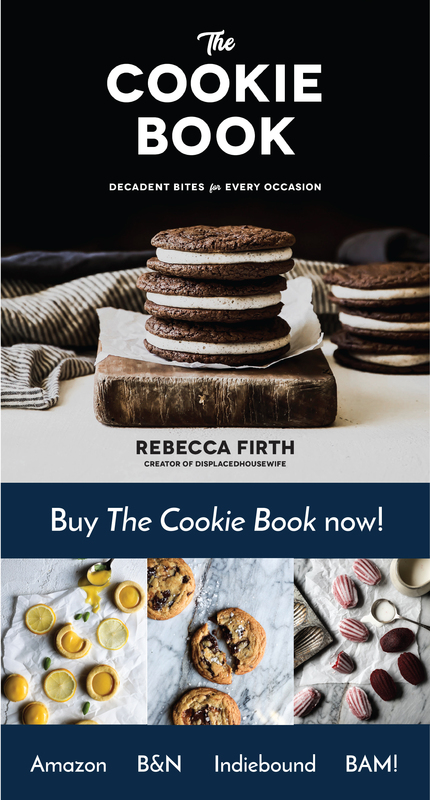 Take a look here to see the first few recipes…I’ll be contributing in a couple of weeks with something realllyyyyyy exciting!!! I’ve been testing it for weeks…so save a spot on your holiday brunch table!! This is an interesting read on breast cancer. I find the statement: “Patients can come out the other end looking more youthful, with a better aesthetic in her breast than before,” offensive. Anyone with me? Bill Maher finally landed his Obama interview next Friday night. I. Can’t. Wait. These have been haunting me…I’m going to have to make them stat. More Fall Recipes: Halloween Candy Cookies, Brown Butter Pumpkin Donuts, Apple Cinnamon Muffins, Slow Cooker Spiced Apple Cider, Spiced Apple Cake, S,piced Pumpkin Chocolate Chunk Cookies, Petite Pumpkin Scones, Pecan + Tart Cherry Granola, Giant Chocolate Chip Cookies (one of my favorites! ), Fresh Fig + Pecan Fall Salad, Thai Thai Scones and Breakfast Crack Cookies, Maple Oat Scones, Harissa Steak Chili, Pumpkin Gnocchi and Dark Chocolate + Espresso Babka. your halloween sounds perfect, minus the homework (whaaaat?). and this post speaks to me so. it seems we forever have a half-eaten banana bread on the counter. we never grow tired of it and it makes me happy when the boys grab a slice and slather it with butter while they do their homework after school. and playing hooky after halloween? genius. Oh Rebecca, I can totally understand your writer’s block and all the craziness and routine in your life. It is chaos, it’s fun most of the time, but a lot of the time it isn’t. At least this banana bread improves some things! I love banana bread, I’ll definitely try your recipe sometime. The more bananas, the better! Love this bread! 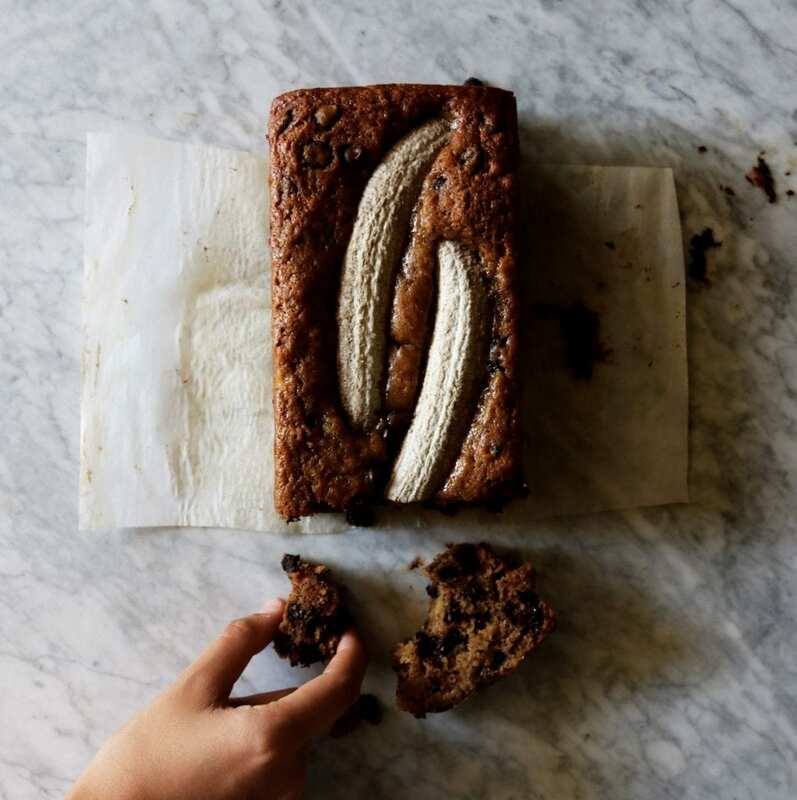 You have truly taken banana bread to the next level here Rebecca! The chocolate chips, the muscovado, the espresso and of course that yummy brown butter. When I saw it on IG, I knew it was going to be good…great! I can’t wait to try it! Sounds like y’all had such fun trick or treating and playing hooky the day after! Life is just a haze. Oh. . .and don’t you just hate it when the banana bread el sinkos?! 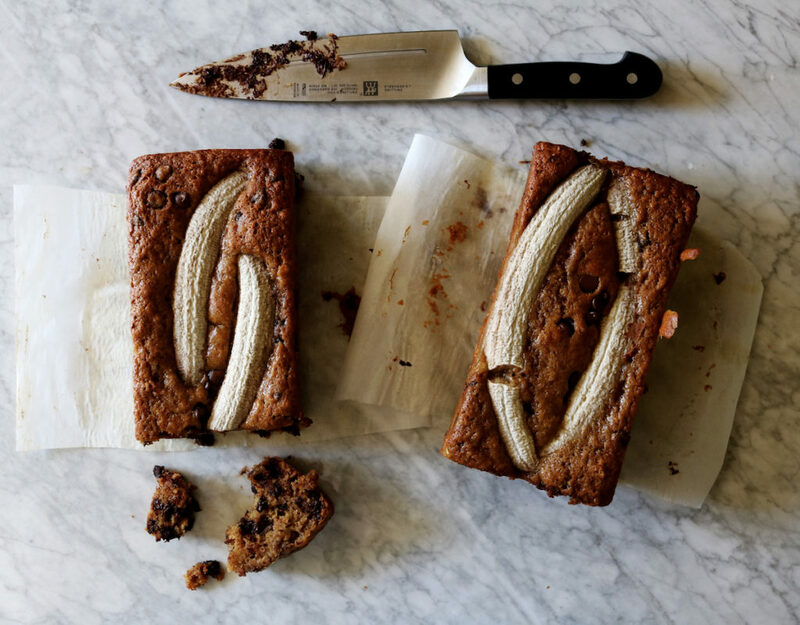 But this one. . .I mean. . .these banana bread twinsies came out beautifully. I’m loving the addition of chocolate chips. 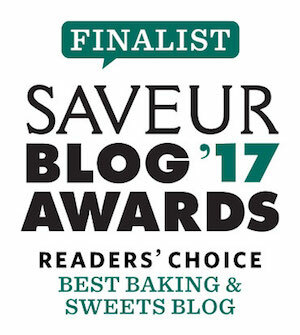 . . brown butter always makes everything better. . .espresso in banana bread – why didn’t I think of that. This was such a fun read. I love picturing you and your kiddos on Halloween night and beyond. It also made me think how important it is to just stop and enjoy the moment now and then. 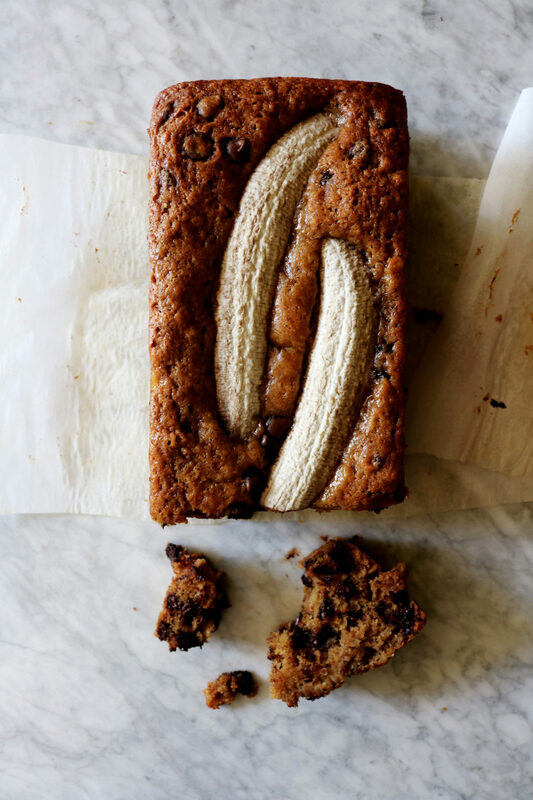 I love that you baked this bread just to get that banana on top – been there, done that! 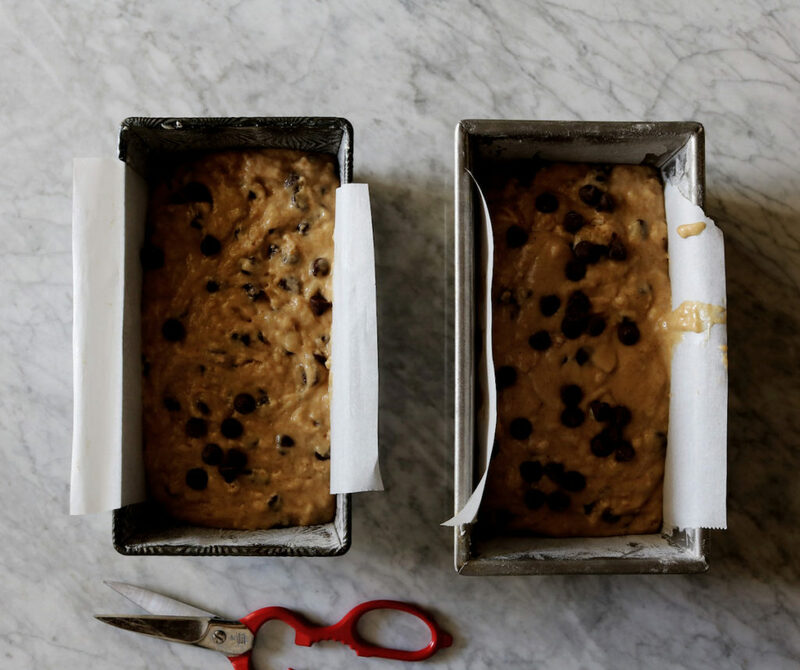 There is nothing more comforting than the smell of banana bread baking! By the way – homework on Halloween? Gorgeous! 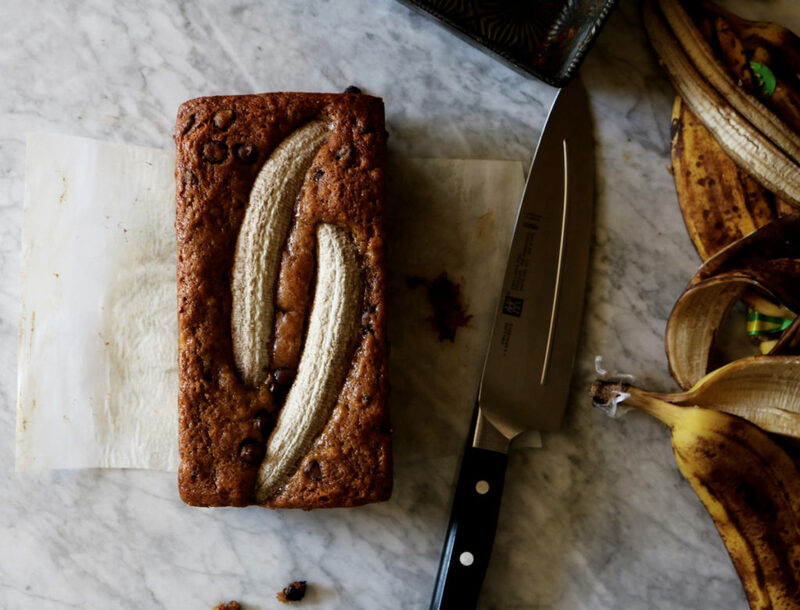 That nutty brown butter flavour would take banana bread to the next level. Need. Want! I love your writing in this. It brought back memories of late halloween nights growing up. But I also got a sense of your house, your kids, your life. And I can only imagine the mama you are.